(5) sample, sizes used in similar studies, (6) incidence rates, (7) completion rates. and (8) resource constraints. 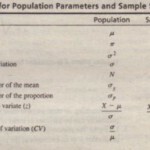 If statistical estimation of sample size is at all attempted, it should be realized that the estimates of the population variance may vary from country to-country. For example, in measuring consumer preferences. a greater degree of heterogeneity may be encountered in countries where consumer preferences are not that well developed. Thus. it may be a mistake to assume that the population variance is the same or to use the same sample size in different countries. The airline industry seems to have a strong and promising market potential in China, where the airline market is growing rapidly, With billions of dollars spent. China is trying to satisfy surging demand and to catch up with the rest of the world. Strong economic growth, surging foreign trade, and a revival in tourism have helped to fuel the boom, forecasts China will need nearly 2.300 new planes by 2023 to satisfy demand for passenger and cargo services. Yet, for millions of Chinese, air travel is a relatively new experience, and many more millions have never flown. Hence, Chinese preferences for air travel are likely to exhibit much more variability as compared to Americans. In a survey by Delta Air Lines to compare the altitude toward air travel in China and the United States. the sample size of the Chinese survey would have to be larger than the American survey in order for the two survey estimates to have comparable precision. 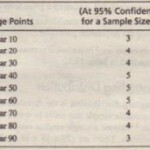 Although the statistical determination of sample size is usually objective. it is. nonetheless susceptible to ethical concerns. As can be seen from the formula. 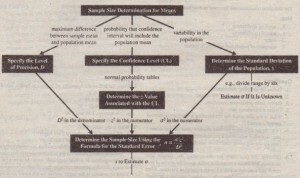 the sample size is dependent on the standard deviation of the variable, and there is no way of precisely knowing the standard deviation until the data have been collected. 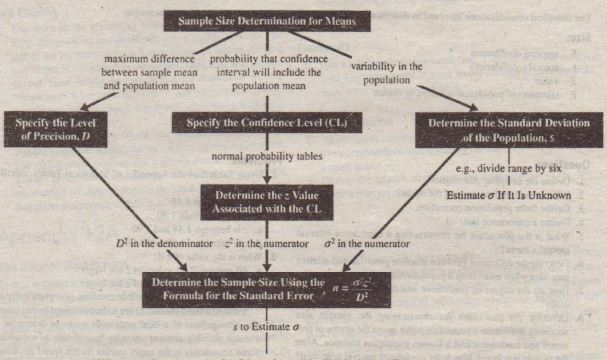 An estimate of the standard deviation is used to calculate the sample size. This estimate is based on secondary data. judgment. or a small pilot study. By inflating the standard deviation, it is possible to increase the sample size and thus the project revenue for the research firm. Using the sample size formula. it can be seen that increasing the standard deviation by 20 percent. for example. w ill increase the <ample size by 44 percent. It is clearly unethical to inflate the standard deviation, and thereby increase the sample size, simply to . enhance the revenue of the marketing research firm. Ethical dilemmas can arise even when the standard deviation is estimated honestly. Often. the standard deviation in the actual study is different from that estimated initially. When the standard deviation is larger initial estimate, the confidence interval will also be larger than desired. In such a situation, the researcher has the responsibility to discuss this with the client and jointly decide on a course of action. The ethical ramifications of miscommunication the confidence intervals of survey estimates based on statistical samples are underscored in political polling. predict the election results while the election is in progress has come under even harsher criticism, Opponents of this practice fed that this predisposes voters to vote for the projected winner for their state. or that it may even discourage voters from voting. Even though the polls have not closed in their state, many will not vote because the media projects that there is already a winner. Furthermore. not only are the effects of these projections questionable. but frequently the accuracy of the projections is questionable as well. Although voters may be told a candidate has a certain percentage of the votes within the confidence interval may be much larger. depending on the sample size. • Researchers also have the ethical responsibility to investigate the possibility of non-response bias and make a reasonable effort to adjust for non-response. The methodology adopted and the extent of non-response bias found should be clearly communicated. A.G. Lafley, CEO of Procter & Gamble. turned around the consumer goods giant after taking the top job in 2000. He has refocused P&G on its big brands. including Tide. Pampers. and Crest. Lafley believes that there’s still tremendous growth in the core brands. He has made one thing clear: P&G’s Moog) corporate culture is gone for good. In May 2001, Procter & Gamble, Inc., acquired Moist Mates, “America’s first moist bath tissue on a roll.” Holding the market for the past 20 years with their tissue Charmin P&G found that a significant amount of consumers already try to use a wet cleaning system. “In fact. Charmin’s research reveals that more than 60 percent of adult consumers have tried some alternative form of moist cleaning including sprinkling water on dry toilet paper, using baby wipes, or wetting a washcloth.” With that in mind the purchase of Moist Mates became a strategic move in the market, P&G took the product and changed the name to Charmin Fresh Mates in a roll so as to go hand-in-hand with the popular Charmin dry tissue, The biggest problem consumers felt was that their makeshift cleaning methods were inconvenient. P&G’s marketing research showed that the familiarity of brand name, convenience and easy-to-use wet tissue on a roll appealed to the consumer “Together, these products offer consumers-a convenient way to choose dry, choose moist, or choose both says Wayne Randall, global franchise manager for Charmin, As of 2009, sales of Charring Fresh Mates were stronger than leading wipes brands. As of 2009, Charm in and other products of Procter & Gamble were available in 180 countries around the world, and the company knows its products are “fresh,” Yet, there is some question as to whether Charmin and Charmin Fresh Mates are perceived as complementary or competing products. 1. P&G would like to conduct periodic surveys to determine consumer perceptions and preferences for bath tissues, including Charmin and Charmin Fresh Mates. How should the sample size be determined. 2. Discuss the role of the sample size you recommend in enabling A. G. Lafley to determine consumer perceptions and preferences for bath tissues, including Charmin and Charmin Fresh Mates. The Marketing Management Decision 1. What should A. G. Lafley do to further increase the market share of Charmin and Charmin Fresh Mates? 2. Discuss how the marketing management decision action that you recommend to A. G. Lafley is influenced by the sample size that you suggested earlier and by the findings of that research.